Exploring Europe poses a delightful dilemma… to cook, or to sightsee? 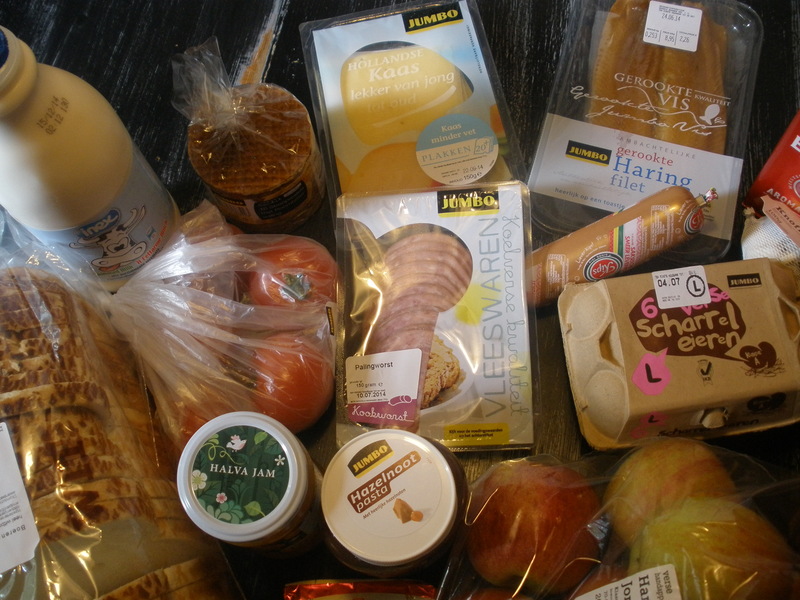 Today, we’re turning off the stove and looking instead at a few fun foods available in Dutch markets. My favorite find, and a favorite of my pint-sized travel companions, are stroopwafels, shown above. Stroopwafel translates as “syrup waffle,” and is really a cookie. A dense caramel filling is sandwiched between two round cookies which taste like waffled ice cream cones. 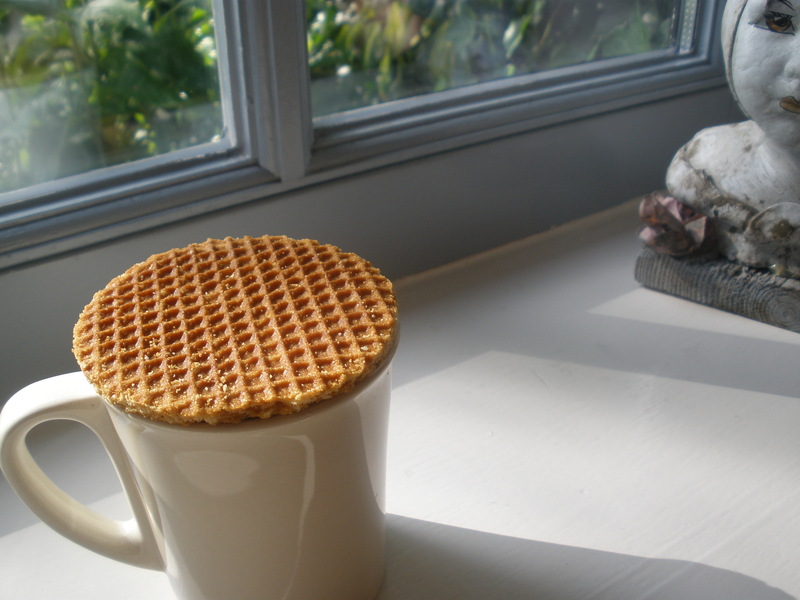 Here’s the fun part: stroopwafels are designed to settle right on top of your mug of morning coffee or tea, so that the steam from your hot beverage can soften the caramel center. Brilliant. As much as I enjoy a morning scone or biscotti, I have to confess, my morning coffee has a new best friend. 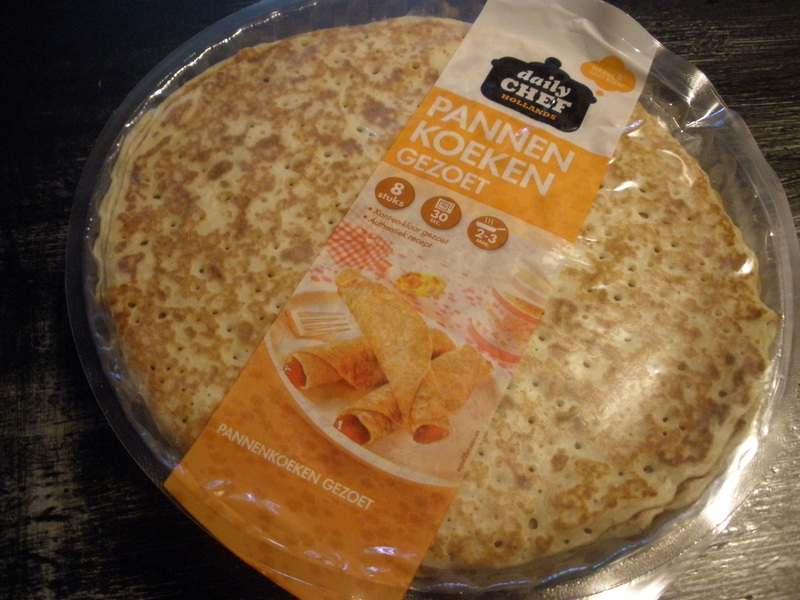 Another fun find for busy mornings are pre-made pannenkoeken, Holland’s answer to the French crepe and the American flapjack. Yes, yes, I know, making a pancake is not exactly rocket science. The thing is, these premade cakes are really good! I warmed them in a microwave oven (gasp!) 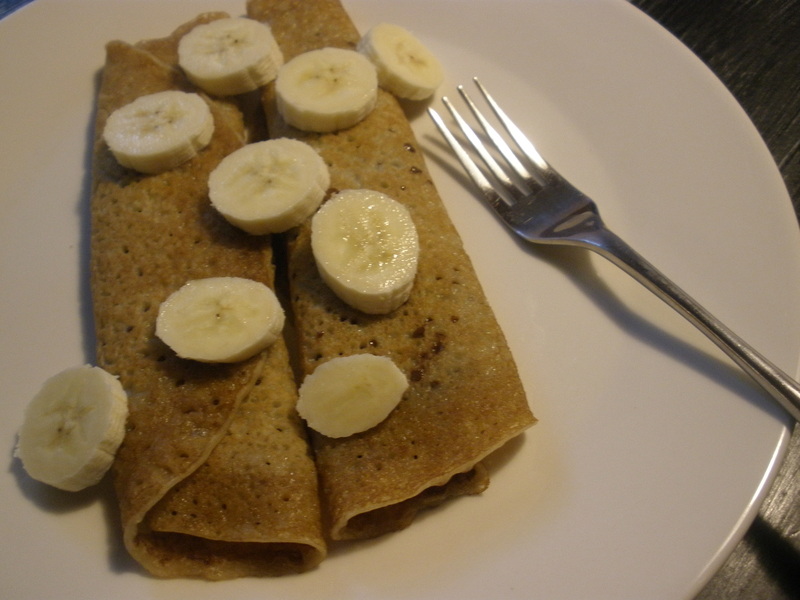 for a few seconds, gave them some love with a tablespoon or two of nutella, dressed them up with banana slices, and Voila! I enjoyed a lovely breakfast in the same amount of time it would take to prepare a bowl of corn flakes. When traveling abroad, remember that exploring foreign food markets can be a whole lot of fun! Perusing grocery stores is a practical, economical way to explore other food cultures. Enjoy! This entry was posted in Food, Travel and tagged Food, Holland, Travel. Bookmark the permalink. Thanks for “taking us along” on your travels. Enjoying every post. Also, the tiger bread was delicious. Going to make cauliflower gouda soup next! I’m glad you’re enjoying the travel posts – they sure are fun to write. 🙂 Crowded Earth Kitchen has lots of good stuff coming up… next up – Cologne, Germany! I had a stroopwafel at a cafe yesterday! I’d never seen one before, but they called it a coffee topper. It was delicious! Aren’t they fun? I hope they catch on everywhere! Yes, fabulous idea! I wonder if they’re difficult to make? I imagine preparing them at home would require specialized equipment, but I’ll look into it!